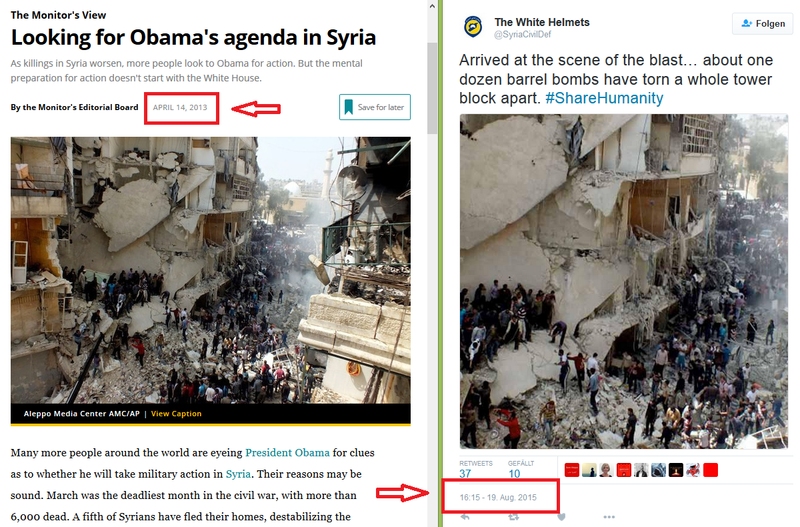 Yesterday, the french UNO ambassador presented an image that should allegedly show two bombed hospitals in Aleppo, Syria (by Syrian government or Russia), at the same day. The german article (n-tv, 3rd August 2014) with the original image from Gaza: „Breite Mehrheit für den Krieg. ‚Die Stimmung in Israel ist aufgeladen‘“ (not even in Syria). 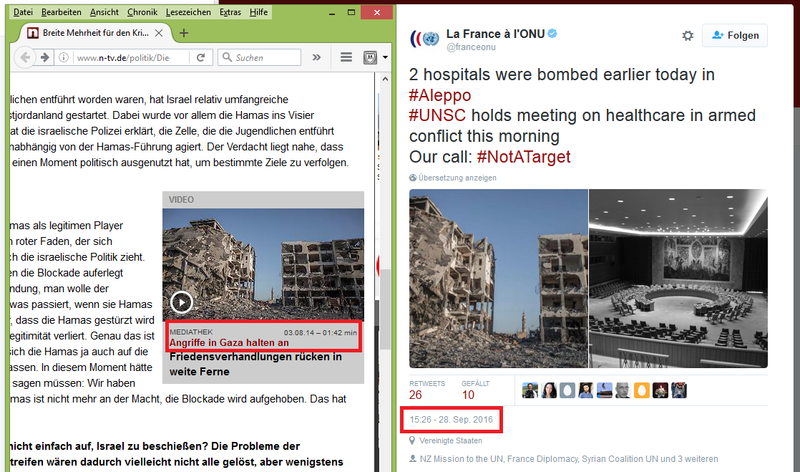 Propaganda fake of France (28th September 2016) as posted at Twitter: „2 hospitals were bombed earlier today in #Aleppo #UNSC holds meeting on healthcare in armed conflict this morning Our call: #NotATarget„, plus two pics.